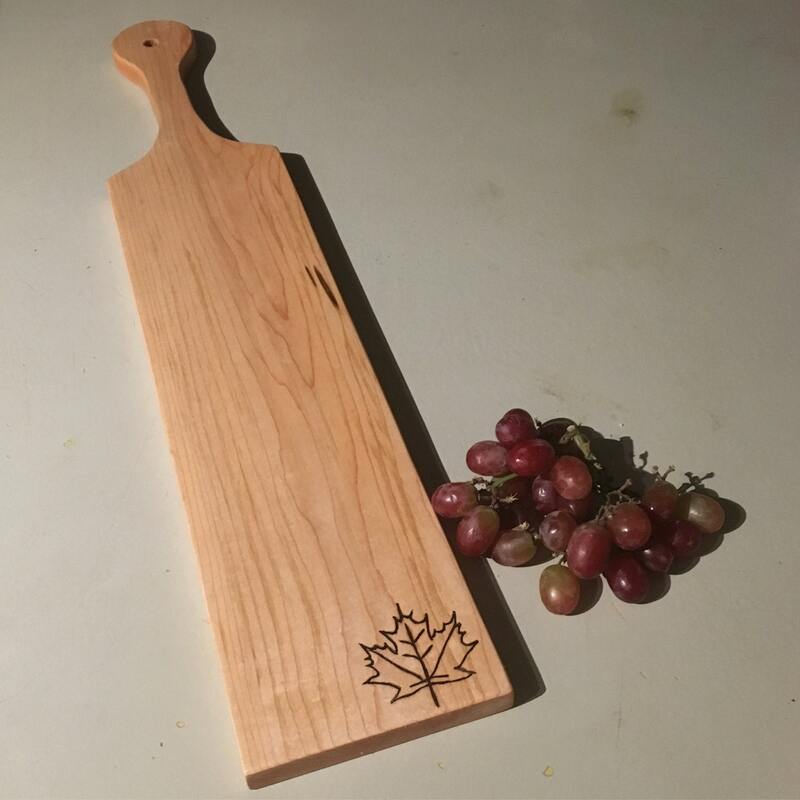 Custom hand made maple wood cheese/charcuterie cutting board. Cutting area measures approximately 5" x 18". This design can also be ordered in larger/smaller sizes. All of our products are crafted using found, scavenged, reclaimed or sustainably harvested wood. The wood for this cutting board was sustainably salvaged from other wood and carpentry projects in Bondville, VT using minimal fossil fuels.